Here's another female hero of another dangerously mysterious story. 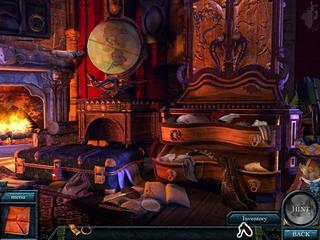 The Beast of Lycan Isle is a recently released puzzle adventure game. You are goingto travel to a distant place to unreval a mystery and not to die at the same time. The graphics are dark and spooky but very beautifully drawn too. You play as a young pretty girl summond to an island far away from home. Your friend thinks there was an artifact found there that might have something to do with a cult of a Wolf Man. You are to check this out and give your oppinion. But things turn into a direction you did not expect. The place is strange and the Wolf Man is real and he is after you now. The game's presentation is quite impressive. The graphics are dark and spooky but very beautifully drawn too. There are voice overs to make a better imression. The game is full of adventure kind of tasks. Those who love hidden object levels will be disappointed. You mosty wonder around and solve puzzles. There is a map that helps you see where you are. The game is quite linear. You get some objectives to carry out as you play. 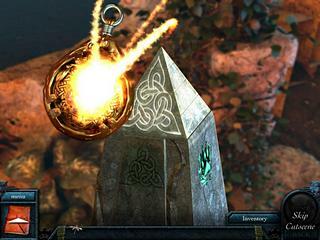 The game features a decent level of challenge. You are able to adjust this by choosing a mode. The game is definitely worth noticing and trying. It may not blow your mind but it has quite enough to offer. This is The Beast of Lycan Isle review. Download this game here.